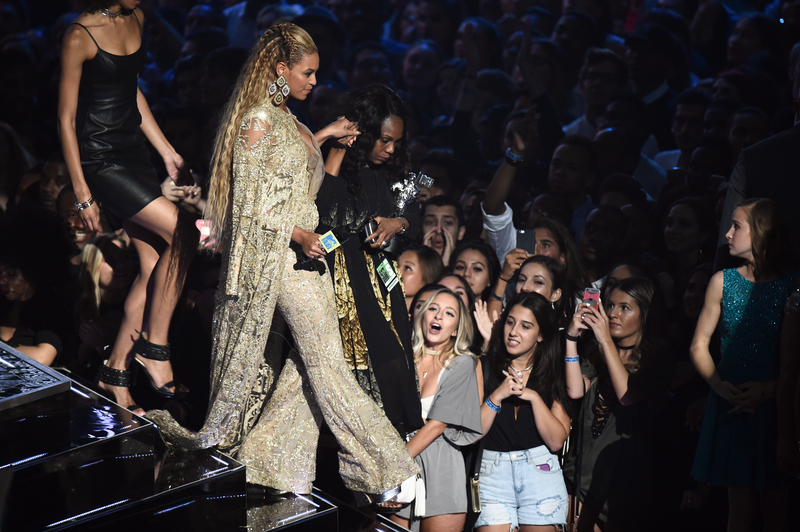 Beyoncé was a last minute addition to the performers at the 2016 MTV Video Music Awards, but isn’t there something about saving the best for last? Performing a majority of the songs from Lemonade, Beyoncé proved that she’s not only the best performer on the planet, but she’s also the most badass queen to ever grace a stage. She worked through a lot of the tracks on her visual album, and at the end of “Hold Up,” Beyoncé took a baseball to the camera at the VMAs and literally broke the lens (she breaks a car in the video, too). It was an incredible moment. We saw her do something similar in the visual album for Lemonade. In the memorable moment, Beyoncé is rocking an incredible, bright yellow gown and skipping down the street with a bat in tow. She then climbs on top of a car and smashes it to bits. Could the car be a symbol for patriarchy? Because Beyoncé has smashed the glass ceiling time and time again.